From its humble beginnings as a picturesque fishing village to its fame during Hollywood’s heyday when Elizabeth Taylor and Richard Burton graced its cobblestones, it still continues to captivate guests with its bohemian-chic ambience and glamor, boasting some of the finest high-end restaurants, golf-clubs, excursions, shopping and contemporary art galleries, not to mention its exciting nightlife. The beauty and unparalleled charisma of Vallarta lies in its unique blend of traditional ‘Old Mexico’ charm with the modern amenities of a cosmopolitan setting. The city is graced with beautiful architecture, cobblestone streets and white stucco buildings crowned by flower-covered balconies and red tile roofs. 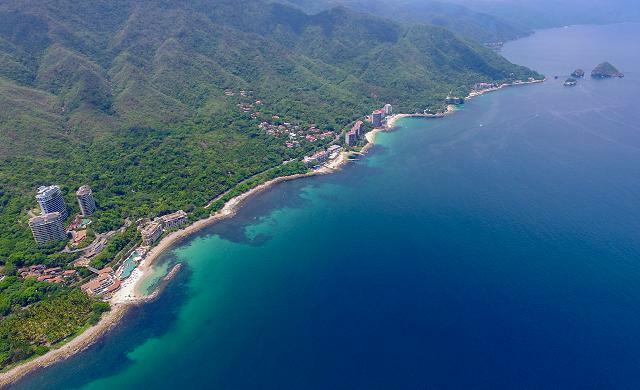 Renowned for its balmy and sunny climate throughout the year, when in Vallarta there’s no doubt you’re in paradise.